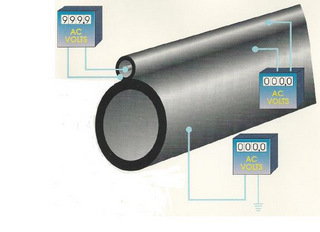 Thermo Systems Technology designs impedance heating systems that use the heat created when an electric current is passed through the wall of a pipe. Because the current in the pipe is caused by a voltage imposed directly on the pipe wall, this method delivers extremely uniform heating. Thermo Systems Technology designs skin effect pipe heating systems that utilize the interaction of two known natural phenomena, skin effect and the natural attraction of opposite magnetic fields. The unique interaction of the magnetic field and the skin effect causes a return current on the inside of the heat tube. 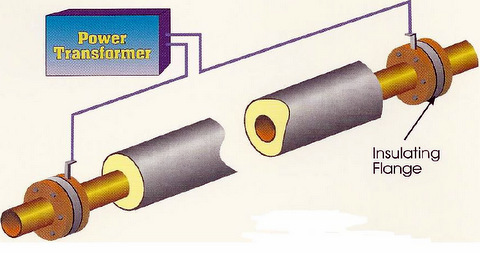 An electrical field effect provides the insulation for the return current. This allows the welding of the heat tube to the carrier pipe, which in turn results in a very efficient transfer of heat to the carrier pipe.